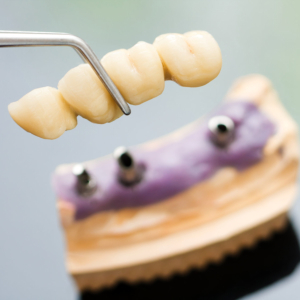 An implant-supported bridge is similar to a regular dental bridge, but it is supported by implants and not by natural teeth. The dentist then waits three to six months. At the end of the healing period, a second surgery is done to expose the implant so that the bridge can be placed.